It was only a matter of time before we learned that the Agents of S.H.I.E.L.D. 's Ghost Rider, Robbie Reyes (Gabriel Luna), would be joined by his younger disabled brother Gabe. 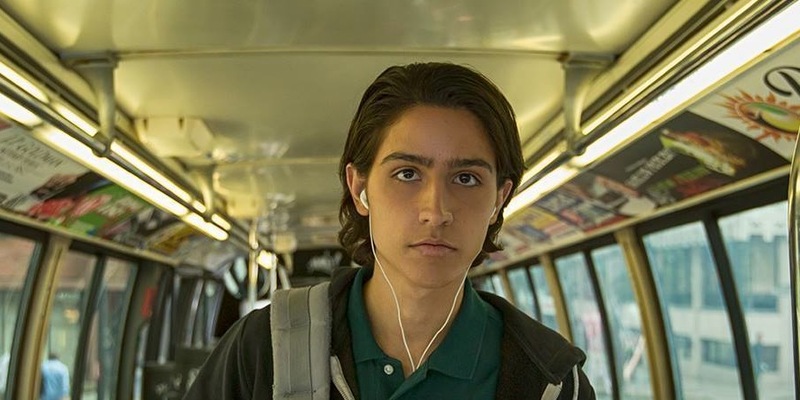 Through the show's revised season four synopsis the character will indeed appear and be played by Lorenzo James Henrie (Fear The Walking Dead).The two brothers live in East L.A., a city that has traditionally been portrayed stereotypically on screen, and represent modern day American Latinos. The only problem is Henrie isn't Latino or disabled. Guest starring are Natalia Cordova-Buckley as Elena “Yo-Yo” Rodriguez, Gabriel Luna as Robbie Reyes, Mallory Jansen as Aida, Lorenzo James Henrie as Gabe, Briana Venskus as Agent Piper, Max Osinski as Agent Red, Ricardo Walker as Agent Prince, Edward Gelhaus as skinhead, Ian Hutton as Blondie, Blaise Miller as lab tech, Samuel Barajas as Felix,Bryan Rasmussen as warehouse manager, Wilson Ramirez as Diego, Jen Kuo Sung as Chen, Jerry Ying as thug #1 and Lilli Birdsell as Lucy. Producers of Agents have said there will be some changes to Robbie's origin. They've already made Robbie older than he is in the comics. 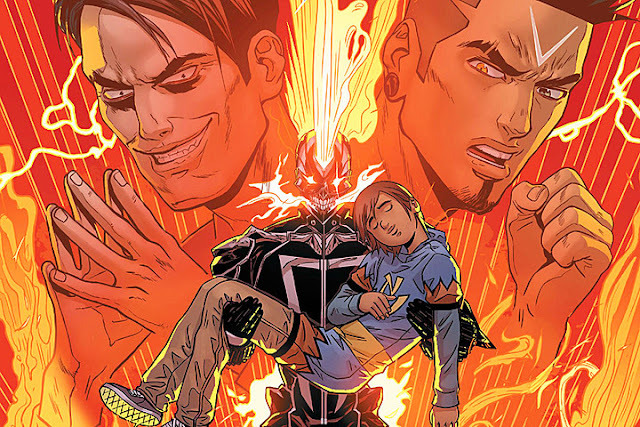 However, in the comics, the younger Reyes brother is confined to a wheelchair which motivates Robbie to street race for money to better care for him financially and leave the neighborhood. It leads to Robbie being shot during the race and the ghost of his estranged serial killer uncle possessing his body and transforming him and the car he used into a terrifying flaming ball of vengeance. The relationship between the brothers was an important aspect of the book. The show has been very inclusive of different backgrounds making 'Agents' one of the most racially diverse shows on television. Asian-Americans, African-Americans, and especially Latinos are represented on the show. Natalia Cordova-Buckley as Elena “Yo-Yo” Rodriguez and Juan Pablo Raba as Joey Gutierrez have not only guest starred they've also spoken some of their dialogue in Spanish. It's been a refreshing addition to a show about international spies, human and inhuman, featuring an eclectic cast.With the addition of Gabriel Luna as Robbie Reyes, it appeared like the casting would continue to be consistent. The casting of Henrie contradicts that since he's neither Latino or disabled. It's a lost opportunity to find consistency within one show with regards to representation. Latinos account for about 10% of characters on TV despite being 17% of the population, even less for disabled actors. 'Agents' missed an important chance to feature an actor that is virtually invisible on television. The show has made great strides to be inclusive and diverse but the industry as a whole has a long way to go in being reflective of its audience. Being consistent with casting opens more doors and makes diversity the norm instead of the exception. Casting an actor that might look but isn't Latino and isn't disabled to play a disabled Latino flies in the face of the progress the show has made. Let's just hope this is a hiccup that was just a shortsighted decision. Able-bodied actors already play 95% of disabled characters on TV. 'Agents' could have made a small dent in that figure. There are actors of color, disabled actors of color waiting for their shot. It's frustrating to know there was a rare opportunity for a role they could have filled but instead an able-bodied white actor was chosen. It's a regressive move of the way Hollywood has been for nearly a century. We should expect better in 2016 and beyond. Here's the new synopsis for season four. “Marvel’s Agents of S.H.I.E.L.D.” stars Clark Gregg as Agent Phil Coulson,Ming-Na Wen as Agent Melinda May, Chloe Bennet as Daisy Johnson, Iain De Caestecker as Agent Leo Fitz, Elizabeth Henstridge as Agent Jemma Simmons and Henry Simmons as Agent Alphonso “Mack” MacKenzie.